“🙂.” Politely softens any sort of blow. 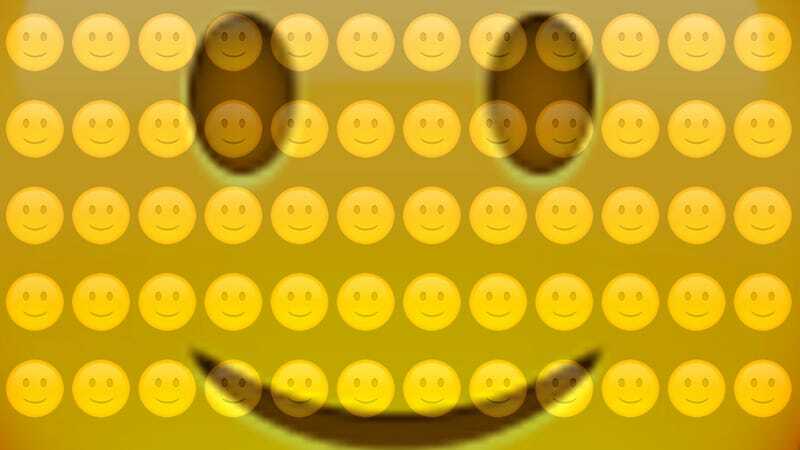 “🙂.” The “slightly smiling face” according to Emojipedia. Every emoji has its opposite, and 🙂 is the perfect symbol to balance out 😁. While the meaning of 😁 varies depending on the device and platform you’re using—you could be grinning with joy or suffering a bout of physical or emotional constipation—🙂 remains constant. Things might not go the way you want them to go, 🙂 coos, but it’s all going to turn out alright. “🙂.” It evokes the old-timey :), doesn’t exude the intensity of 😀— “😀 is psychotic,” Jezebel staff writer Brendan O’Connor asserts—the cheeriness of 😊, the smugness of 😏, the enthusiasm of 😃. The most multi-purpose of all the smileys, 🙂 is above all, measured. It manages to convey an overarching sense of peace while still taking the terror of the world into consideration. “🙂.” The words in the sentence preceding the emoji might not be what you want to hear, but that’s life, and it’s really not too bad when you think about it. “🙂.” No admission of happiness but nevertheless, a slight grin. The calm smile of terror. A symbol that neither ignites or extinguishes any flame.